In December 2015, Catherine collaborated with choreographer Andy de Groat to present an evening of his early works at Danspace Project, and the evening was titled GET DANCING. 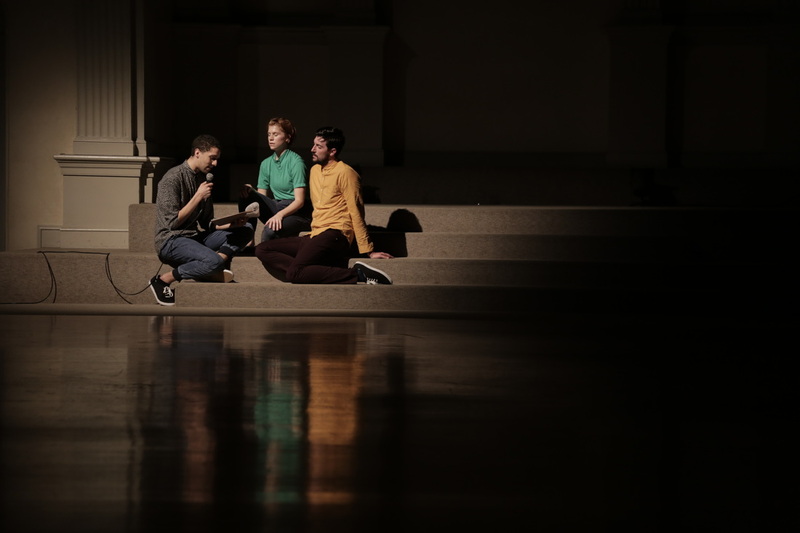 Danspace also commissioned Catherine to create a new work in response, which resulted in notes on de groat for performers Chris DeVita, Kristopher K.Q. Pourzal and Meg Weeks. GET DANCING was nominated for a 2016 "Bessie" Award for Outstanding Revival. 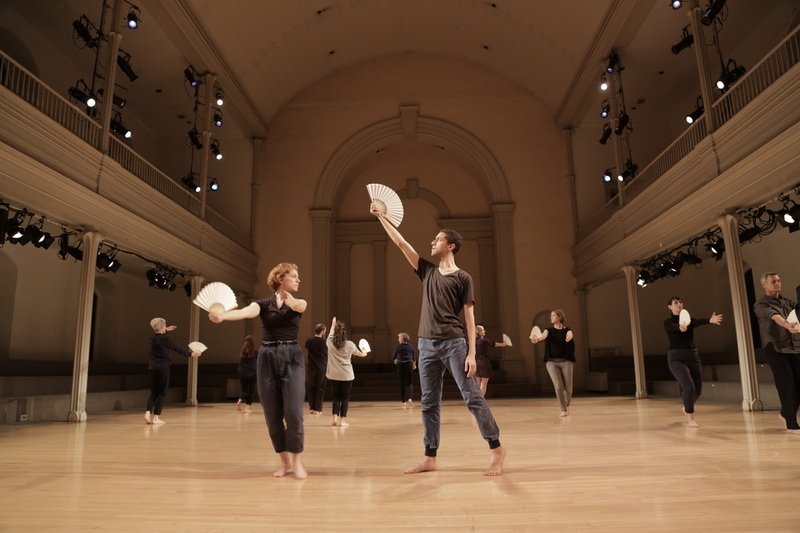 It was described by Siobhan Burke in The New York Times as "an illuminating, heartfelt program of old and new work." Wendy Perron included it on her Best of 2015 list, and later wrote an in depth article reflecting on the program: "The experience was like following a string back through time and finding some sort of treasure. 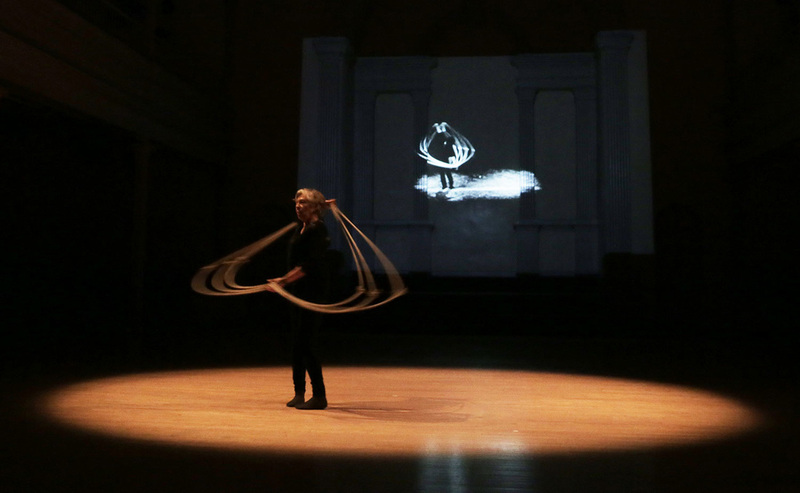 What [Catherine] found wasn’t flashy or transgressive, but an enchanted meeting of movement and music." 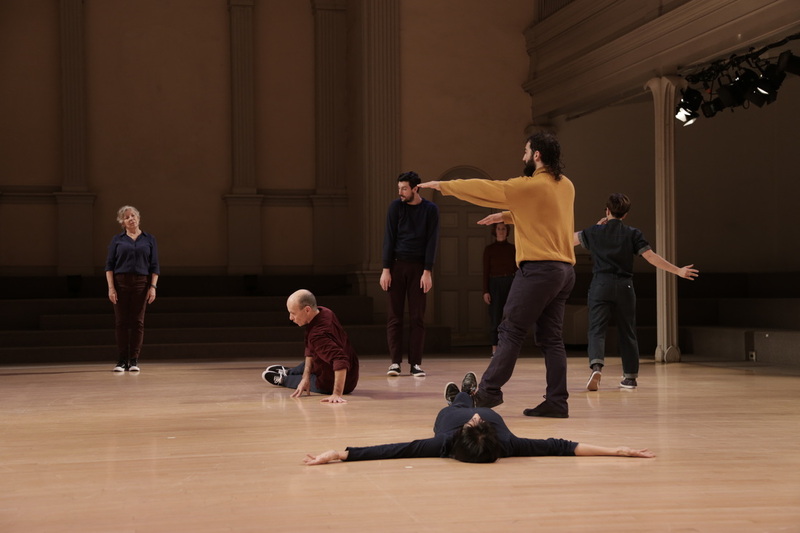 This program includes four dances by Andy de Groat, recreated by Catherine Galasso in conversation with de Groat and former collaborators, and one new work by Galasso, created in response. Film by John Meaney and Andrew Horn, with original music by Michael Galasso on solo violin, featuring Robyn Brentano, Ritty Ann Burchfield, Frank Conversano, Charles Dennis and Andy de Groat. This is an excerpt from de Groat’s evening length Swan Lac, which premiered in Aix-en-Provence in 1982, and was performed at Danspace Project in 1983 by de Groat, Viviane Serry and Michael O'Rourke. 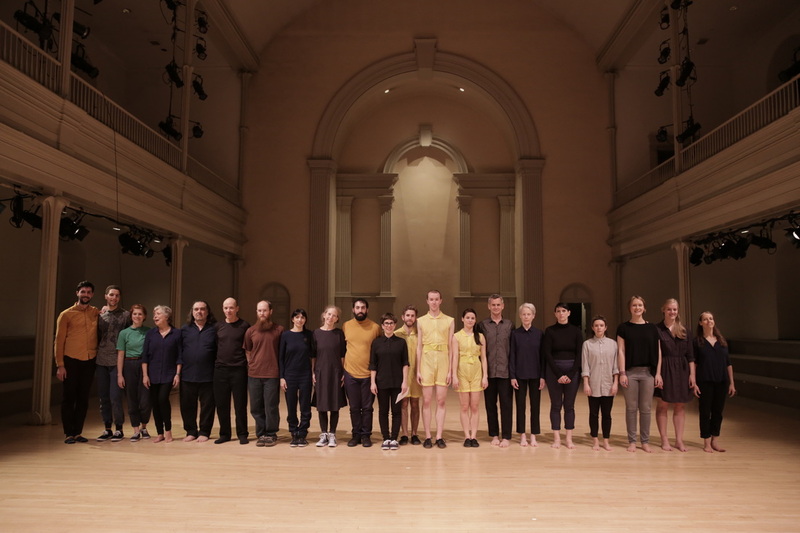 The creation of GET DANCING was made possible, in part, by the Danspace Project 2015-16 Commissioning Initiative, with support from the Jerome Foundation. 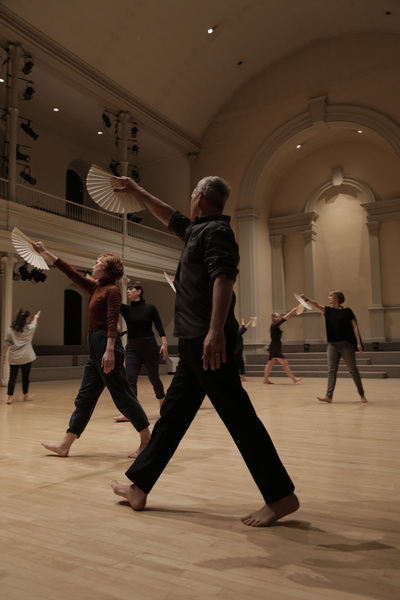 Additional support provided by the Bossak/Heilbron Charitable Foundation, the Lower Manhattan Cultural Council, individual donors, and the 92nd Street Y. 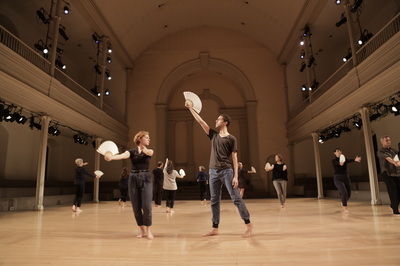 The project was developed through residencies at Robert Wilson’s Watermill Center, the Centre National de la Danse Pantin, Kaatsbaan International Dance Center with support from the New York State DanceForce and funding from the New York State Council on the Arts Dance Program, and through the Lower Manhattan Cultural Council’s Extended Life Dance Development program made possible in part by The Andrew W. Mellon Foundation.